Lately I’ve been purchasing used photo books on an almost weekly basis to try to satisfy this hunger I feel for viewing printed images. Not just any printed images either - I’m specifically looking for photos that match the style that interests me the most. As I work to discover my own photographic voice I’m drawn to the photos that speak to me, and in an interesting twist I’m starting to find that one book in particular has stuck with me the longest. The book is called Permanent Error, by Pieter Hugo (review coming soon). This book, like all of the other books I’ve purchased, contains amazing images, but these images are not just your usual street scenes or photos of cities from yesteryear. 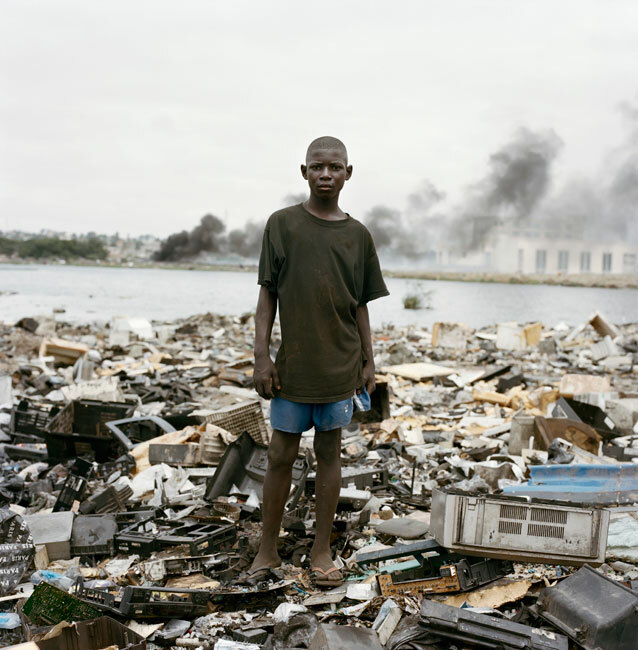 They are of young men and women on the outskirts of Accra in Ghana who are surrounded by the refuse and discarded electronics of so called ‘first world nations’. Every time I turn the page I pause as if my brain is stuck in a mental loop, unable to process what I’m seeing. By the time I’ve made it through the book and read the accompanying text, I’m shocked. I’m a little outraged, ashamed and then all at once I feel this wave of empathy and the sudden urge to do something to change this situation. The truth is: there’s very little I can do to change what goes on in the electronic waste dump known as the Agbogbloshie Market, and that knowledge only manages to frustrate me even more. It’s become a way of life to burn the waste materials there to extract their precious metals, and no matter how toxic or dangerous their fumes might be - the waste will continue to be sent there. 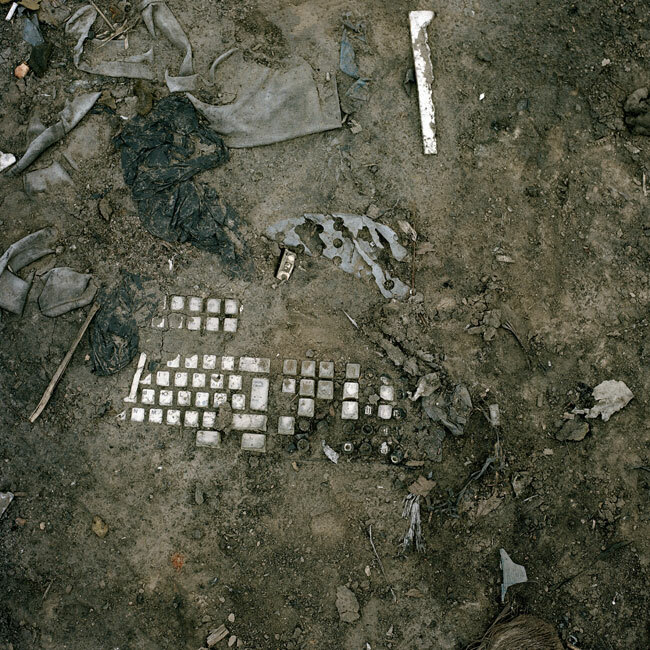 Old floppy disks, computer monitors, CDs and even refrigerators are scattered all over the place in these haunting images. I’ll get into more detail about what Permanent Error is all about when I get around to reviewing it, but for now, in this particular blog post, I want to focus on the emotional response that images like this have on me. I love the fact that these images can influence me to research a topic that I hadn’t even known about only twenty minutes earlier. It is situations like this one in Ghana that I think photography serves particularly well by highlighting the issue and bringing it into our homes. 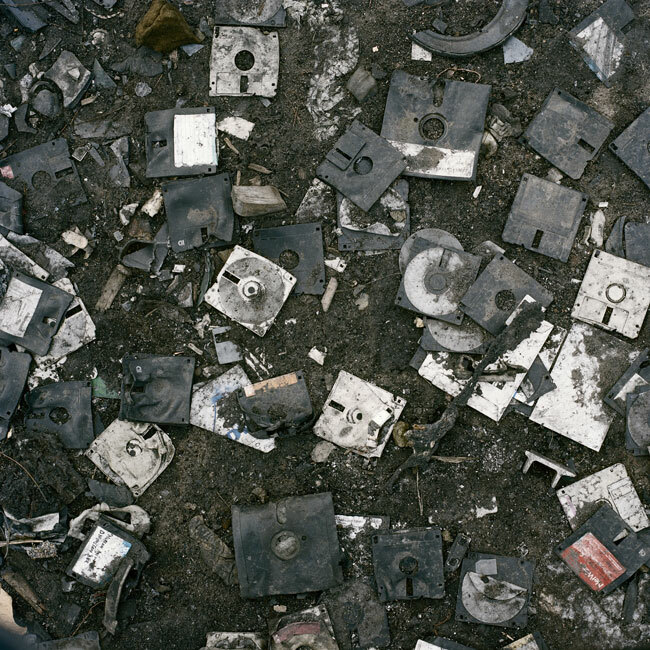 It made me uneasy to see the charred remains of the floppy diskettes that I recognized from my youth spewing their toxic cloud into the air so close to Accra, the capital of Ghana. In that moment, from the comfort of my own couch, I felt an uncomfortable level of shame and outrage that only these types of photographs could bring to the surface. Long term, project-based photo stories such as this are very enlightening, and the photo book is an amazing delivery medium to bring those stories to light. I’ve already started to think about how I can start to focus more on project-based photography as opposed to individual shots with no clear ties to one another in an effort to present the same type of emotional impact with my series’. It won’t be an overnight change and I won’t stop taking the shots that I want to take, but I’ve really started to gravitate towards wanting to use photography as effectively as Pieter Hugo has done here. It would be satisfying to shed some light on injustices and problems in the world and make people think as much as this book has made me think. Yes, I know that sounds like a lofty goal and it is. It will require some work and planning to figure out the logistics of managing how to work on projects like this, but I’m excited about the prospect of even trying to make a difference through my photographs. At the very least, it’s a definite step in the right direction to finding my own voice in my photography. Pieter Hugo used his talents to document the situation in Ghana and in so doing he inspired me to explore how I, too, can work to produce images as emotionally impactful as his. 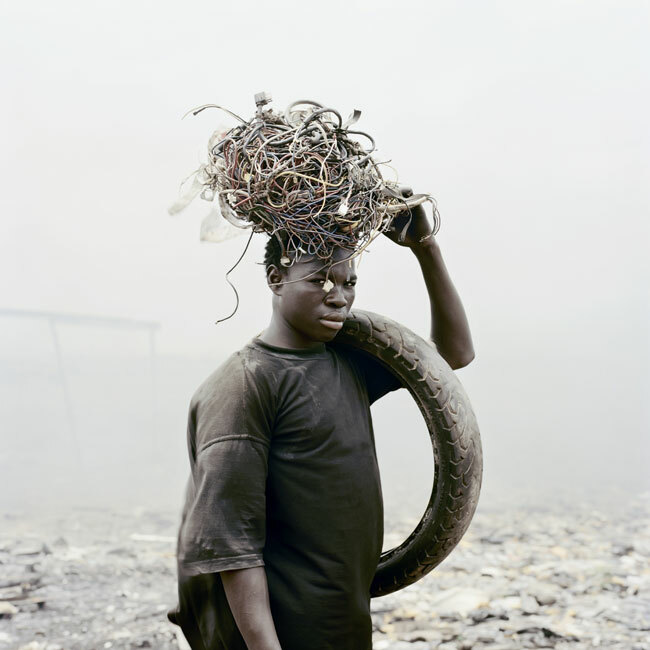 All images in this blog post are from Permanent Error by Pieter Hugo via the Michael Stevenson Gallery.